I Me My: Verdi's 'Otello' at Metropolitan Opera House, Lincoln Center - Spellbinding Musical and Drama. 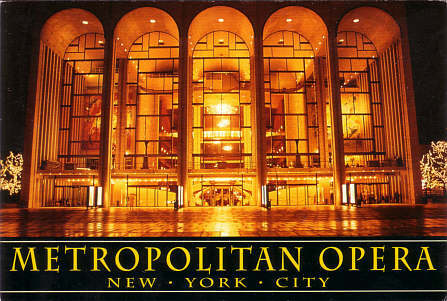 Verdi's 'Otello' at Metropolitan Opera House, Lincoln Center - Spellbinding Musical and Drama. What could be more enthralling than to watch the 321st Metropolitan Opera performance of GiuseppeVerdi's Otello, from 'grand tier' box number 18 of the Lincoln Center? This was an unforgettable experience for two reasons. First of all, I had never watched a Shakespearan Opera, let alone one of Verdi, and then getting to watch it from the center parterre premium seating at Lincoln Center was simply wonderful. Otello is composer Giuseppe Verdi's Italian opera in four acts based on Shakespeare's play Othello with Jose Cura in the title role, opposite Krassimira Stoyanova as Desdemona and Thomas Hampson as Iago. This opera was one of Verdi's last ones and had its world premier in Milan in the year 1887 and is "often cited as Italian opera’s greatest tragedy, a miraculous union of music and drama. It is a musical masterpiece as profound philosophically as it is thrilling theatrically." Shakespeare's Othello was one of my lesser liked tragedies of Shakespeare, but watching Otello has made me rethink that. The intensity of emotion that the music and the singing aroused in me was was almost unbelievable. Stoyanova in the role of Desdemona was magical; particularly as she sang'Ave Maria', her last piece, an emotional goodnight to Emilia her attendant. That piece, clearly foreboding Desdemona's death, had me in tears that were unstoppable. The orchestra, conducted by Alain Altinoglu, and the singing at that point felt almost as if the duo were plucking at my heartstrings "with every instrument playing as softly as possible, pulsing like the last breaths of a dying being." I was absolutely overcome by the sheer volume and intensity of emotions I was experiencing. This was despite the fact that I did not understand a word of the singing since it was in Italian, and I did not dare look at the translation provided on the ticker tape lest I miss something that was happening on stage. The fact that I knew the entire story of Othello to the smallest detail did only but enhance the experience. There are at least five more performances of Otello scheduled at Lincoln Center in the next few weeks; this is a must see for anyone who appreciates art and /or music in any form. Going tonight with wife for my 57th birthday. Looking forward to this.